With the eventual breakdown of ‘unpopular’ alliance of BJP-PDP in Jammu and Kashmir, the ‘forward’ ripples in political spectrum were felt not only in the state but also in New Delhi. The efforts made in New Delhi to install People’s Conference Chairman, Sajad Gani Lone, as Chief Minister with the support of BJP and rebel MLAs from PDP, Congress and NC were finally aborted by ‘grand alliance’ sting and as such could not culminate the BJP’s political agenda in the fragile state into ‘political gainer’ for the 2019 general elections. They remained mere ripples; though the undercurrents were felt by regional political majors and forced them to transcend their ideological and political rivalries and stinged a grand alliance to keep BJP-PC combine at bay which prompted the Governor to dissolve the assembly citing ‘strange’ and ‘unconstitutional’ reasons. BJP and Sajad Lone led-PC were busy in attracting the MLAs to their kitty both by fair and foul means. Imran Ansari, MLA Pattan and former cabinet minister was the first to question Mehbooba Mufti’s leadership and openly questioned the internal democracy in the party, dynastic politics and nepotism under Miss Mufti’s leadership. Yasir Reshi, PDP-MLC, also voiced his dissent against Mehbooba-led government and joined the rebel group orchestrated by Ansari. Speculations were rife that about 19 MLAs from Congress, NC and PDP joined the rebel group and mellowed somewhat to extend support to Sajad-led BJP-PC combine to form a new puppet government in the state. 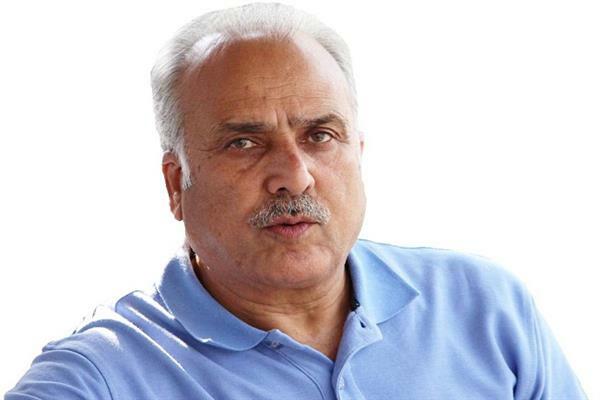 Cracking the whip on dissenters who had publicly criticised Miss Mufti to avoid factioning, PDP removed legislator, Yasir Reshi as the party’s district president for Bandipora hurriedly without constituting any internal committee to look into the matter. The climax of the political melodrama staged in the state was robbed-off by the senior PDP-leader and MP, Muzaffar Hussain Beigh by expressing his dissatisfaction with the party’s functioning and implicitly brimmed signs of consonance to the BJP-PC combine script and described his joining in PC as ghar wapsi (home-coming) if PDP is not willing to correct its behaviour. 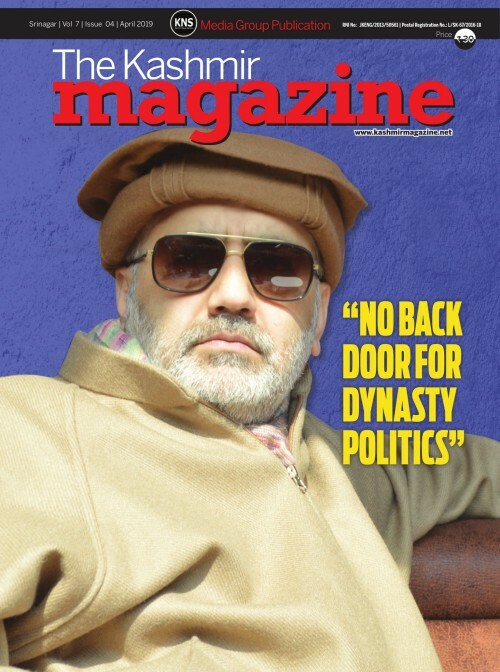 Our Senior Correspondent, Hamid Rather and Kashmir Magazine editor-in-chief, Mohammad Aslam, spoke to rebel PDP-MLC Yasir Reshi over his dissent, expulsion and the efforts to instigate a political tsunami in the party and state. Here are the excerpts from the interview. Q: What were the reasons behind your rebellion against PDP, the party that made you a leader and MLC? A: I joined Peoples Democratic Party (PDP) after listening to late Mufti Muhammad Syed’s vision and mission for the state of Jammu and Kashmir. His leadership and political ideology have left an indelible influence on me. I buckled my baggage, prepared my body and mind and tied-up the shoe-laces and rallied behind late Mufti Sahab to be a part of the peace and ‘Healing Touch’ efforts in the fragile state. The party started its functioning with its core agenda of working towards an abolition of dynastic politics that National Conference cradled in the state, fight against the corruption and work towards the political solution of the Kashmir conflict sprawling since decades. After Syed’s death, his daughter, Mehbooba Mufti was sworn as the CM of the state after a brief political lull and uncertainty. Very soon afterwards, the party’s core agenda and founding principles began to tremble and PDP is reeling under identity crisis. During Miss Mufti’s regime, there was rampant corruption; a new phase of dynastic politics (Uncle-nephew) emerged and the claim to form government with the support of NC and congress was the last nail to the coffin of PDP ideology. The mistreatment to the separatists by the Mufti-led government was against the vision that late Mufti Syed held. He always held that separatists have a political ideology different from ours and we need to fight it ideologically and not through brute force. NIA raids on separatists were freely allowed by Miss Mufti as she was holding the Home department portfolio too besides Chief Ministership. Under such erosion, I felt suffocated within the party and expressed the dissent. Q: Have you expressed your dissent with PDP high command before going public? A: Yes. I have raised these issues in all party forums, meetings, and chambers and even sent a communiqué to party president Mehbooba Ji. Let me give you an example of mama-bateja rule (dynastic rule) under Mehbooba Ji. Tasaduq Mufti, son of late Mufti Sahab was made MLC and then a cabinet minister in a hush-hush manner. What qualification he possessed that warranted his wild card entry into cabinet and at the same time not giving any portfolio to the two or three time MLAs having eligible qualifications, experience and people’s mandate is questionable. Was not it the emergence of the dynastic politics in PDP too? How was then PDP different from NC dynastic politics against which we started as an ‘emancipator’ force? I felt my complaints and views were not given due weightage. I felt alienated within the party I gave my years of life to grow and develop at the local and state level. I increased the PDP vote bank in Sonawari, Bandipora from mere 2200 to 32000. Q: Apprehensions were that you were preparing to leave PDP because of NIA raids and joined with Sajad Lone led group to get protection? A: This is wrong. There was neither any raid nor was I summoned by NIA regarding my property possession or security matters. I belong to mainstream politics and will remain in the same till death. I have nothing to do with separatists. But, here too I have disagreements and dissatisfaction with the role played by Miss Mufti in giving protection to the citizens of the state whether he is a separatist or a mainstream politician. Here too PDP has shown divergence from late Mufti Sahab’s vision. He always held that separatist have a political ideology different from ours and we need to fight it ideologically and not through brute force. NIA raids on separatists were freely allowed by Miss Mufti as she was holding the Home department portfolio too. Q: Do you want to say that there is complete roll back of the ‘vision’ regarding Jammu and Kashmir that Late Mufti Sahab held? A. Yes. I could not differentiate PDP from NC today. I conceive NC still better as whatever they say they say it openly and PDP has become a treachery and double-faced storehouse of lies. PDP dumped its much hyped ‘Self-Rule’ policy, gave clemency to corruption instead of preventing it and put a full stop towards the efforts for resolving K-issue. So PDP is preparing towards its own death. Q: Why were you silent during the formation of PDP-BJP alliance as these two parties have complete anti-agendas or political ideologies regarding the state? A: The alliance was the result of the fractured mandate given by people in different regions of the state. In Kashmir, PDP was the largest majority party with 28 MLAs and BJP emerged as the major force with 25 MLAs. So for the smooth and harmonious development of the state, Late Mufti Sahab kept aside his political ideology and forged an alliance. It was going well during his tenure. Mufti Sahab was a forceful leader and he kept his views before PM, Modi when he visited the state and other forums too. He was well aware of the Common Minimum Programme (CMP) and has taken steps to accommodate the party’s promises to the people. But all went wrong after the incumbency of Mehbooba Ji and party’s agenda as well as the promises made to the people belied the hopes and aspirations of the party members, workers and people. 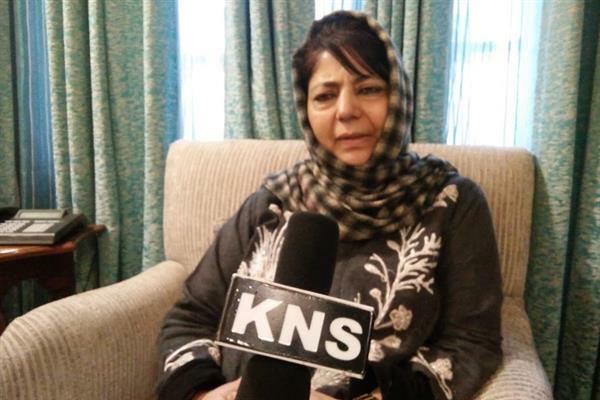 Q: If Mehbooba Ji diluted his party’s agenda and resonated with the BJP’s views, then, what was the reason BJP called back the support to Mehbooba-led PDP in the government formation? A: Corruption has touched high levels during Mehbooba Ji’s regime. Rampant corruption is the primary reason BJP called back its support to her government. Moreover, the security of the state was going worse day by day. Local militancy spiked and civilian causalities increased during her tenure as CM. All this prompted BJP to break its alliance with PDP. 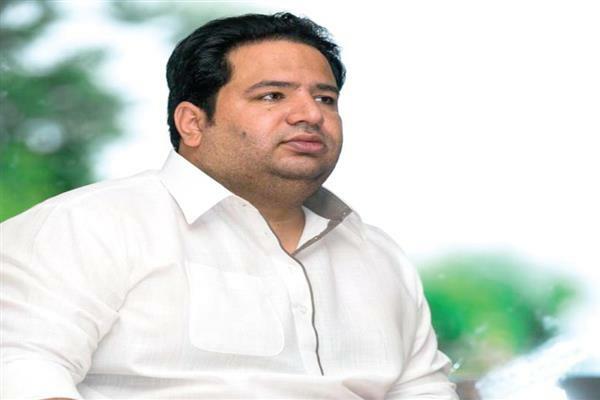 Q: Apprehensions were rife in the political circles that you were the main force in lobbying the MLAs behind Sajad Lone to form the new government with BJP’s support? This is also evident from your close association with Lone sahib. What are your views? A: I have huge respect for dynamic leaders irrespective of the party they work for. Abdul Gani Lone, the founder of People’s Conference was a veteran leader. After reading “Achievable Nationhood” I felt that late Lone Sahab was a contemporary ahead of his times. He was a father figure for me. He taught me politics and in fact nurtured me. His son, Sajad Gani Lone, is my brother. I have good relations with my brother and I will continue these relationships. But the allegation that I was working for creating factions in parties and lobbing MLAs for Sajad Sahab is untrue. I am an MLC. I have no role in government formation. I am not very significant leader that political giants in the state politics will pay attention to me. Q. Imran Ansari and you were having acrimonious relation. How all of a sudden you became friends in the Sajad-led group that was being created for government formation? A: I agree Imran Sahab and me were having differences over a range of issues. It was on behest of Mehbooba Ji that we sought out our differences and became good friends. Q: So this similarity in thoughts has given you strength to express your dissent against the PDP later. Do you agree? A: Breaks into laughter. The party high command was diluting its core agenda. We both being conscious citizens and responsible leaders listened to our inner voice and the promises made to people kept reverberating in our minds forced us to express our dissent. In a democracy, there is always scope for dissent and we did nothing wrong in doing that. Q: After cracking whip on you by removing from PDP District Presidentship, you have reverence for PC and cordial relationship with Imran Ansari, how are you seeing your future? Is there any plan of following Imran Ansari who recently joined PC? A: I am in PDP. I have not left the party yet. I have seen leadership skills in Sajad Lone in these three years as a minister and I have immense praise and respect for him. He has a clear and transparent vision regarding the state of Jammu and Kashmir. He is not having double standards like NC and PDP. He is a straight forward person with huge pain to do something for its own people. If there is any leader in the state in whom I am seeing the capability to remove the unemployment and poverty, it is only Sajad Sahab. Q: So when are you formally joining PC? A: It is not important to join a party to praise its leader. I am in PDP right now. Q. Senior PDP leader and MP, Muzaffar Hussain Beigh in a press conference also acknowledged the malfunctions in the party and Mehbooba-led coalition government and expressed his intentions of joining the PC as ‘Ghar-wapsi’ for him? Has this strengthened the dissent wave against PDP? What are your views? A: Muzaffar Sahab is leader par excellence. Even Sajad Sahab has acknowledged his political stature and welcomed his statement. I am seeing Muzaffar sahab as a world-class leader and I am ready to rally behind him. 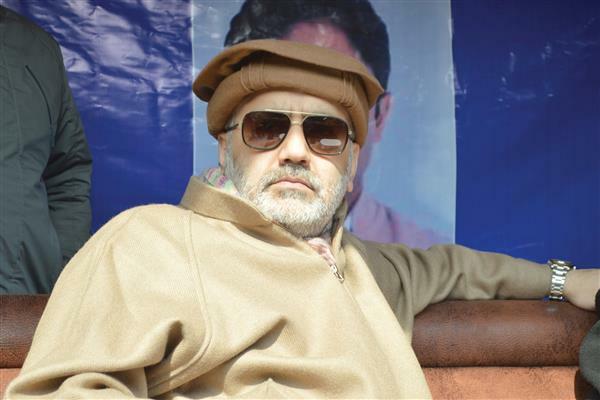 Q. Muzaffar Sahab was against the PDP’s decision of boycotting ULB elections. What are your views regarding this? Do you agree with the party’s decision? A: It was a wrong decision. It alienated PDP members and workers at grass root level. Urban Local Bodies (ULB) elections are meant for local governance where development related issues are tackled. What PDP achieved from boycotting from municipal elections? Nothing! In fact PDP installed proxy candidates and some won fortunately. Boycott call shows that PDP is not in favour of the development activities at grass root level in the state. Q. 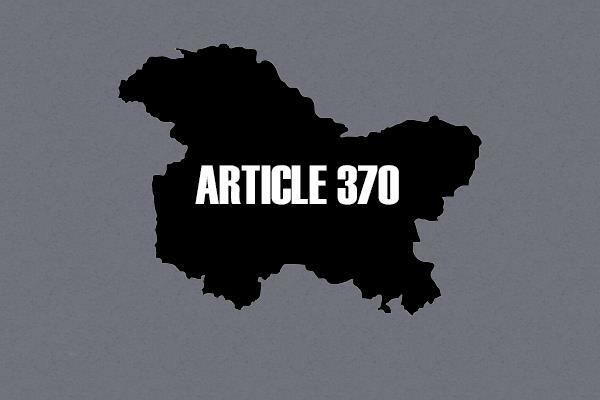 ‘Grand Alliance’ of PDP, NC and Congress was stinged to keep Sajad Lone at bay, Governor, Satyapal Malik, dissolved the assembly citing ‘strange’ and ‘unconstitutional’ reasons. Do you agree that dissolution of assemble was constitutional? A: It was an unconstitutional decision taken by Governor Sahab. The grand alliance if formed and claimed to have the support of the required majority to form the government should challenge the decision in the court. Moreover, Governor Sahab should have given them the opportunity to prove majority at the floor of the house. This is how the constitutional scheme should look like. At the same time, forging an alliance with the NC and congress who are responsible for all the constitutional erosions in the state and against whom the PDP was formed seems to me more ‘unholy’ than PDP-BJP alliance.